Taking a cue from all that is natural and organic, Kaama offers a glimpse of rare and yet unseen botanical mixology. Ever wanted a space that could suit all your requirements as your home away from home? 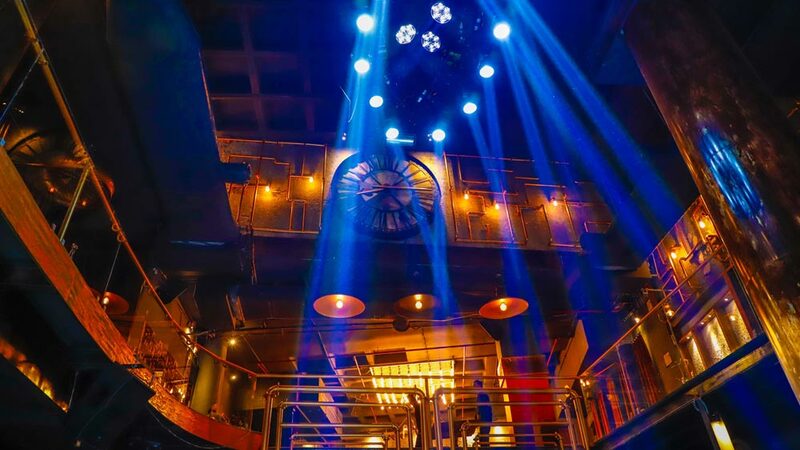 A restaurant by day and your space to party by​ night - Kaama Klub enters Delhi after huge success in Mumbai. Spread across 14,000 sq ft roof the space is rooted in desire. An unexplored gastronomic odyssey it’s a place that promises to be more of an experience that will delight all 5 senses with a unique culinary sensitivity. Started by Sudhir Gouchwal it’s a celebration of life itself, Kaama Klub's decor has much to explore. Handmade art on walls that is inspired by India's yesteryears, a sculpted bar and seating inspired by India's new age contemporary edge - the space aims to entreat people from different walks of the country to come together and rejoice, all over a drink of tea, coffee or your favourite spirit to leave the customers’ 'enlightened'. Music meets gluttony as the best acts from India and abroad line up to play at Kaama Klub's two story Amphitheatre and multi-level bar where the entertainment never stops! A venture by Young Mind Restaurant PVT Ltd, Kaama Klub is India's first large scale venture that combines food, entertainment and culture across an alfresco section, co-working space and an all day diner - rolled into one. The place is home to a unique 'Kaama Lab' where chef experts and mixologists work late hours to create remarkable culinary delights and uncommon cocktails. Think Indian inspired Burgers, Globally renowned Tikkas, Cocktails influenced by local and organic Indian seasonal ingredients - the menu at Kaama Klub has something for each palate to devour. Taking a cue from all that is natural and organic, Kaama offers a glimpse of rare and yet unseen botanical mixology across its beverage and cocktail menus. Potent concoctions with infused tea options, in-house syrups that are made from scratch, and a cocktail philosophy that embodies their core belief in ‘peculiarity’, this unique resto-bar offer marries passion with potency and taste with nostalgia to create a serving for your everyday royalty. ​Just like a secret fantasy that finds its way to the door of the shy, Kaama special cocktails marry desires with potency and a taste with nostalgia. From having a deep desire to midnight fantasies and mysterious muse, these signature cocktails at KAAMA serves all your tipple-desires. The club also has its own unique benefits as it opens doors to imagination like never before. 'Inspired by Kaama' membership card puts your interests at its core by offering a superior edge on dining, drinking and events. Member only advantages include free Wifi and exclusive passes to member-only art, music, food and culture events. Card holders can also avail secret tastings at the 'Kaama Lab' to help choose new menus and also host parties at special prices and network with the who's who of Delhi here.